More awesome creativity is happening from our mambi Design Team. 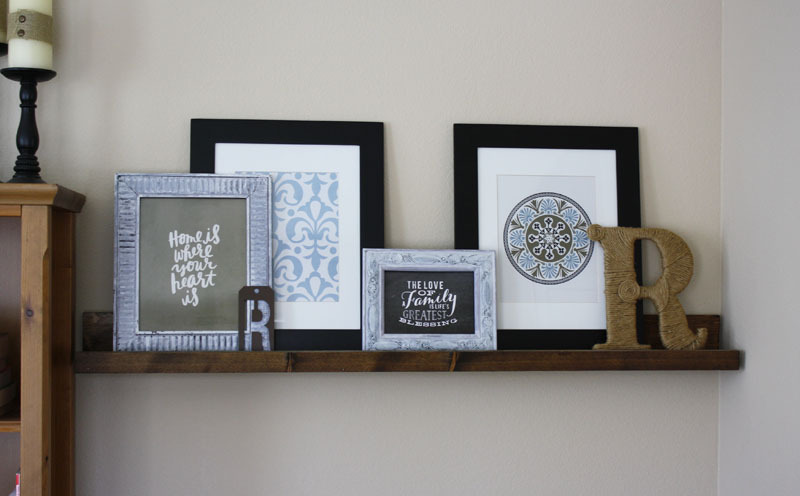 Jen Randall used the Home DIY Gallery Art Pad to make her gallery wall (picture ledge). She did a little write up and it's so easy ... you can do it too. Check it out. 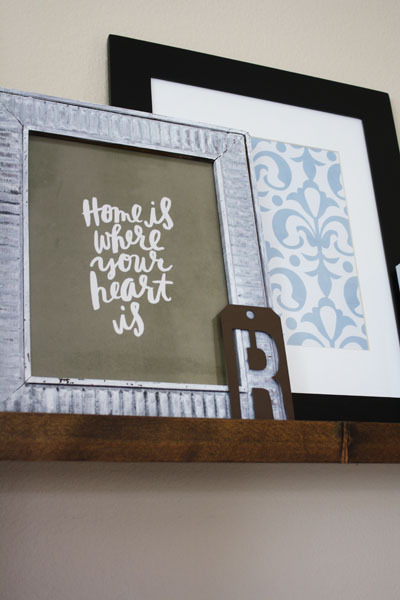 1) Chose a place in my home to get started and give a little refreshing to the space. We already had these stained wood picture ledges on either side of a book case in our reading/piano room that I thought would be perfect! 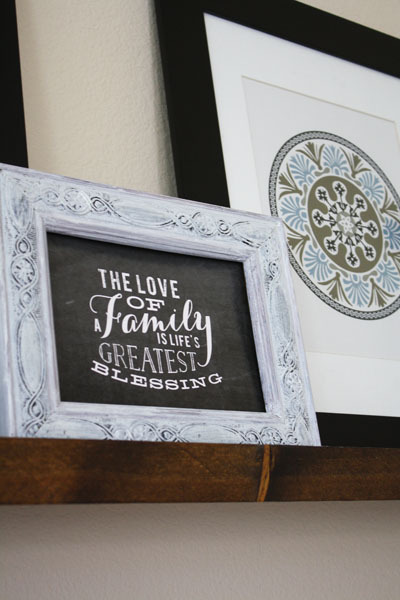 3) I "shopped" around my house for frames that would compliment the set up. 4) Painted the brown frames I found with white to give them a washed white look. 5) Once the frames were dry, I began trying the different pages in the frames until I found the ones I loved. 6) Using the display picture as my guide, I put them all together. SO fun! 7) Finally added some Rs for our last name and I was finished. I absolutely love it! The new picture ledge gives a fresh, stylish look to our room.